Tagged under xxxHOLiC, Tsubasa Reservoir Chronicle, Magic Knight Rayearth, Mascots. 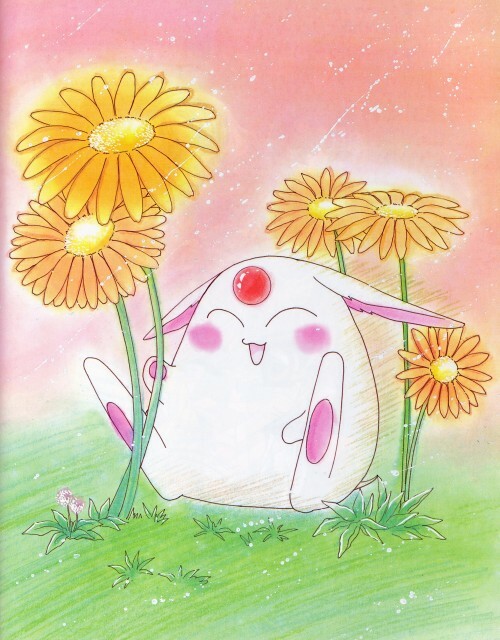 In the manga version of Magic Knight Rayearth, Mokona is revealed as the creator of Cephiro, Earth and various planets. Yuuko Ichihara and Clow Reed encountered the original Mokona, they use it as a model to create two Mokona Modoki. The White Mokona’s real name is Soel, while the Black Mokona’s real name is Larg. All three Mokonas has the power to cross through different dimensions.